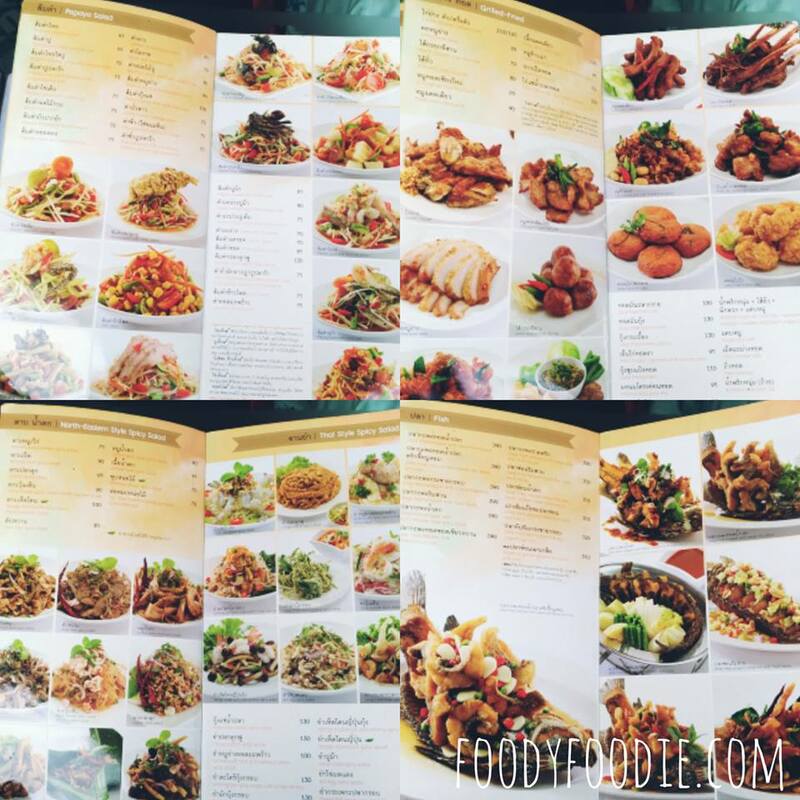 2018 just ended, it is a good time of the end of year to gather my whole family to go out eats something good together. And we love Thai food, so we all agreed to go to Nittaya Kai Yang for lunch! We got there at around lunch time, so there were packed of people. The waitress put my name on the call list. The waitress handed menu to us and took order while waiting for table. Around 20 minutes later, they called out my name and yes! We got a table. Even though, the restaurant is very crowded, but the food came very quickly. 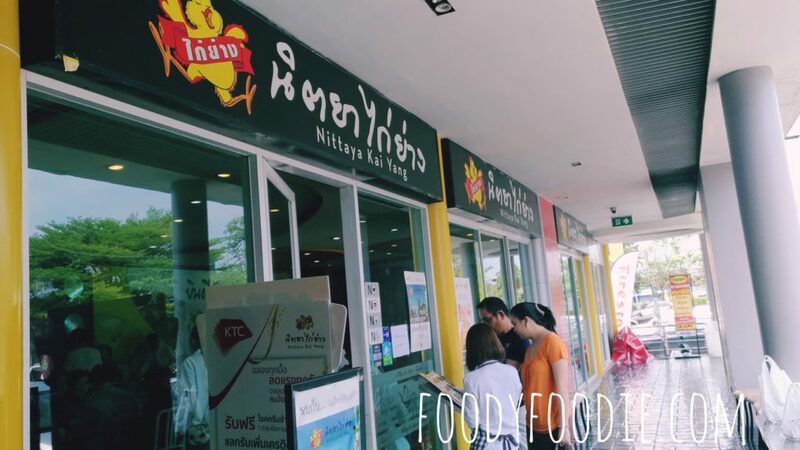 Nittaya Kai Yang is a Thai-E Sarn food restaurant (E Sarn is in the north east of Thailand). Kai Yang in Thai means grilled chicken. So, grilled chicken is a signature dish here. So here our grilled chicken dish comes. 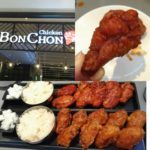 Unexpectedly, they served a very small portion of chopped half chicken with very dried texture. Chicken here is quiet chewy, boney, no fat at all. The taste of chicken itself is very plain. Lucky that they have sauce to dip with or else, I have to force myself to finish it. 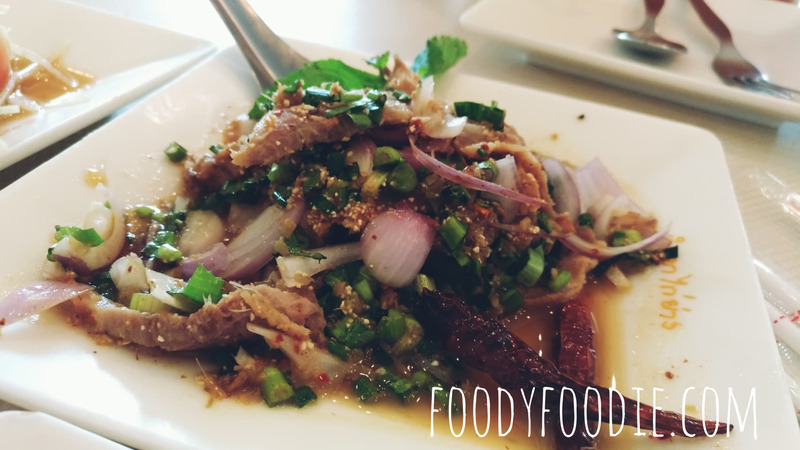 For grilled pork neck slide (Kor Mu Yang), this dish is a must try dish! The pork slide is big and thick and not too much fat. 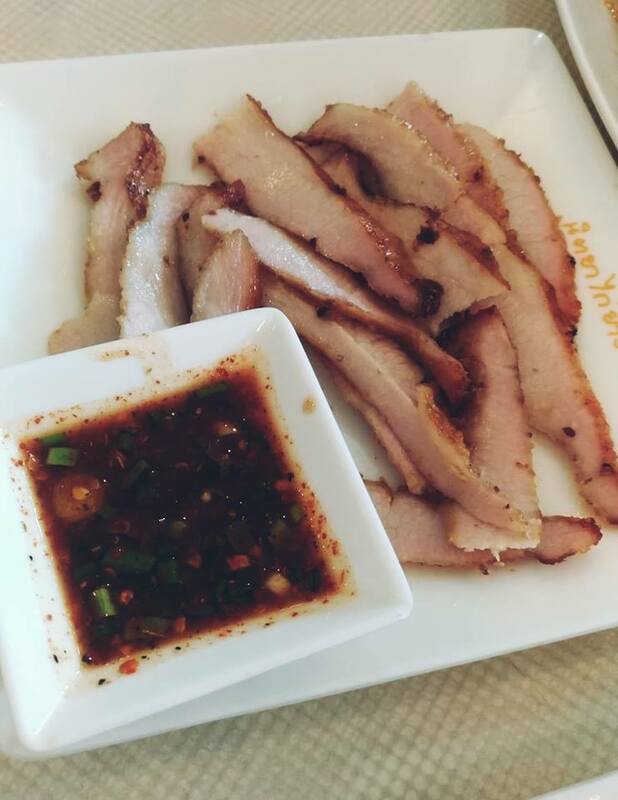 Having the pork itself is very delicious and mellow. 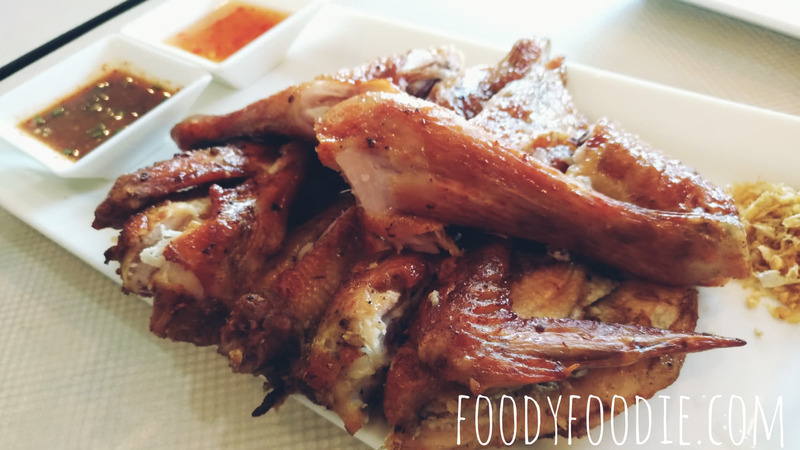 But if you dip with their tamarind sour and spicy sauce (Nam Jim Jeaw), it’s so super yummy. 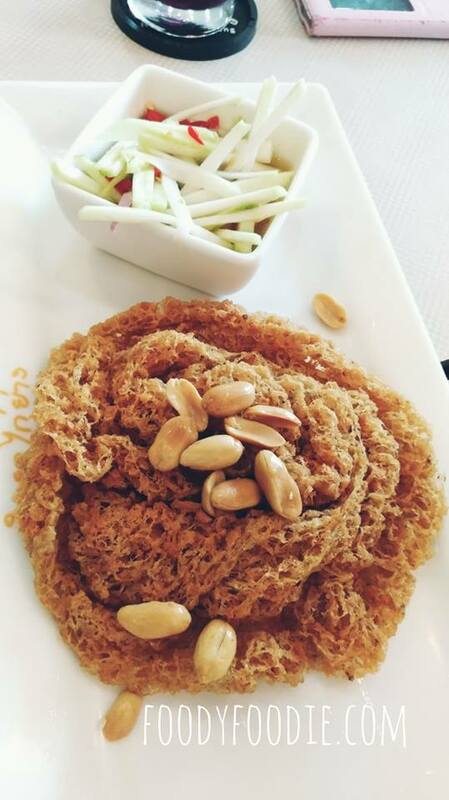 And don’t forget to have a bite of sticky rice to make it even mellower. Fried fish herbs with fish sauce ( Pla Chon Lui Saun) is my most favorite here. The skin of the fish is very crispy and the meat is soft and moist. Dressing with keylime cube, chopped onion, peanut, galangal cube, and chilli. 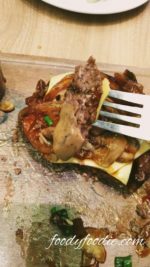 On your spoon, try to put fish meat and all the ingredients to eat together in one bite. And you will just feel wow! Life is good! 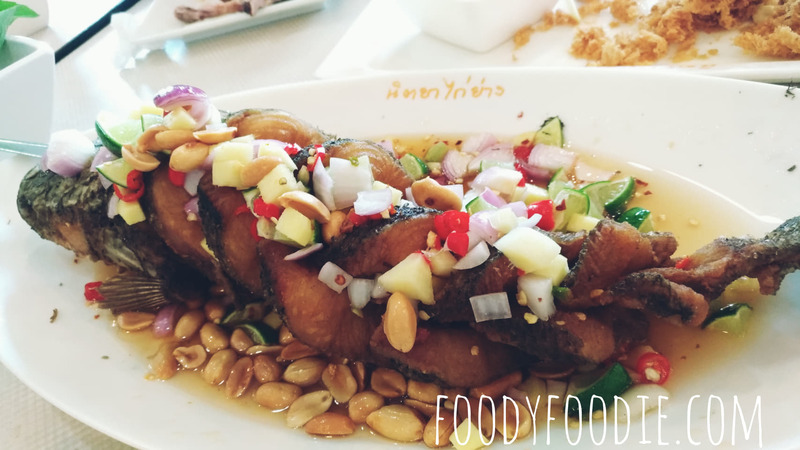 Another dish that I like is Crispy catfish salad with green mango (Pladook Fu). Actually, I am ok with catfish meat. But for this one, they crushed catfish with pestle until fine and deep fried it. 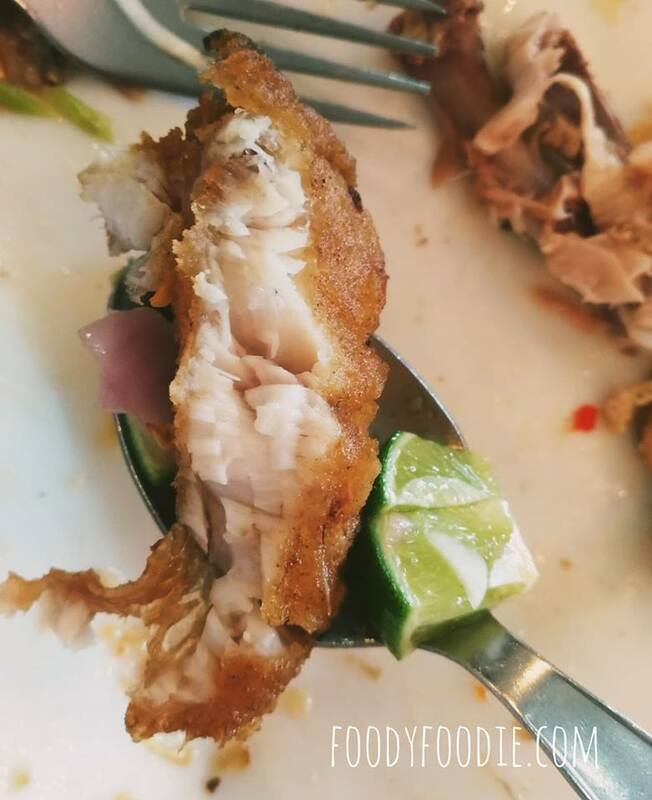 Eat the crispy fish together with green mango salad is so crispy, sour, salty and yummy! 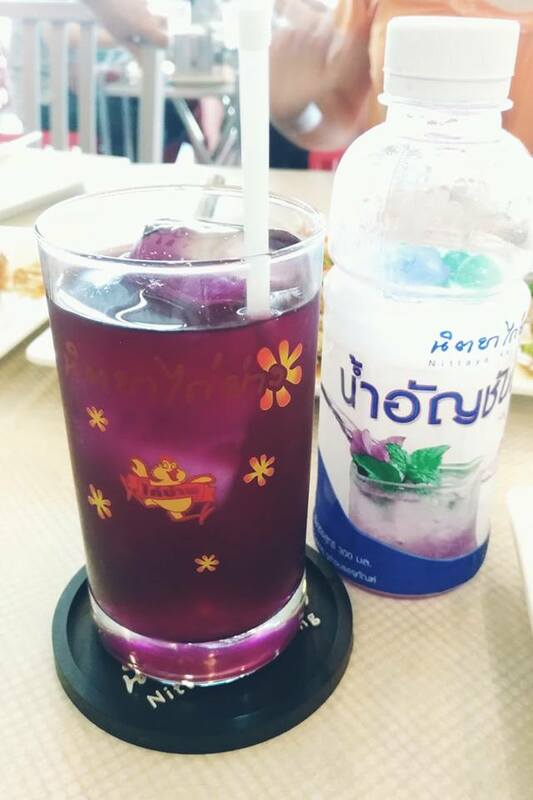 Pea flower drink is also good to drink along while having the dish. It’s not so sweet, and it’s a little sour. It helps to mild your tongue a lot when you eat very salty food. After all the food is done, I decided to order Lod Chong for dessert. 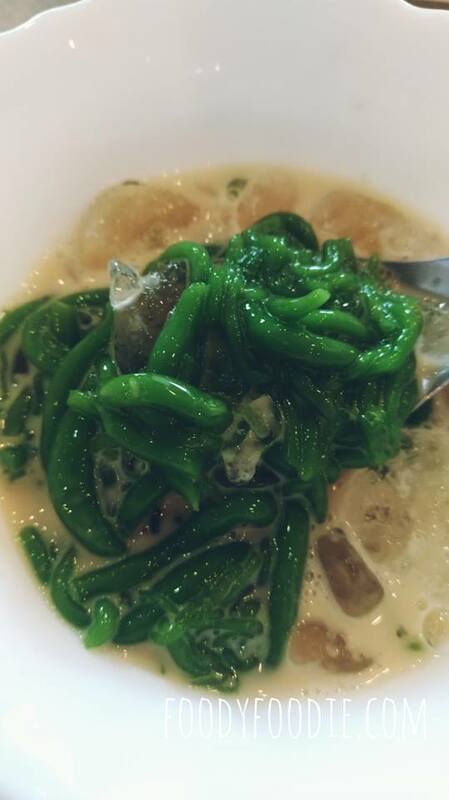 The green wormed look thing is made of rice flour. Flavored and colored with Pandan leaf. I love any dessert with coconut cream and palm sugar. They didn’t make it too sweet which what I like. The flour is soft and melting. 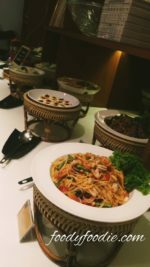 For the price of the food here is not expensive, even though the portion for some dishes is a little small, but with the good taste and good environment, I think it’s worth it. The parking lot here is big enough to fulfil their many customers’ need. 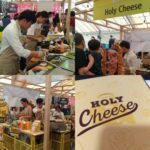 I will definitely come here again and again!